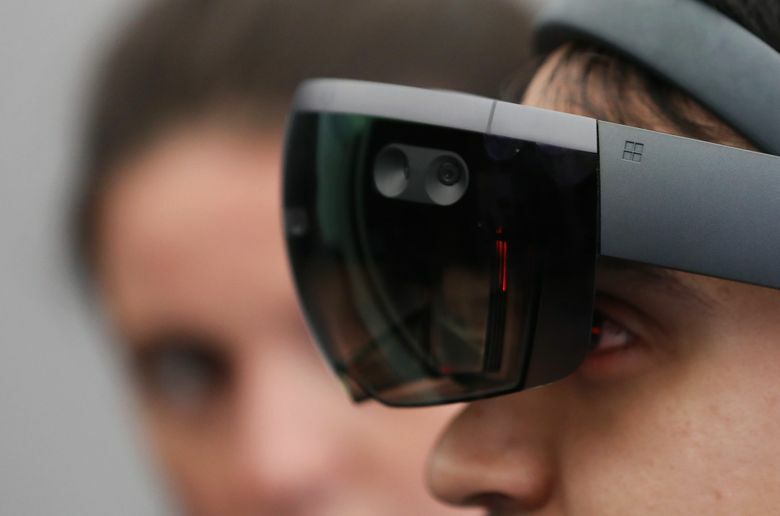 Microsoft has won a $480 million contract to supply prototypes for augmented reality systems to the Army for use on combat missions and in training, the Army said. The contract, which could eventually lead to the military purchasing over 100,000 headsets, is intended to “increase lethality by enhancing the ability to detect, decide and engage before the enemy,” according to a government description of the program. “Augmented reality technology will provide troops with more and better information to make decisions. This new work extends our longstanding, trusted relationship with the Department of Defense to this new area,” a Microsoft spokesman said in an emailed statement. The U.S. Army and the Israeli military have already used Microsoft’s HoloLens devices in training, but plans for live combat would be a significant step forward. HoloLens is one of the leading consumer-grade headsets, but a large consumer market doesn’t yet exist; a video made for the European Patent Office this spring said Microsoft had sold about 50,000 devices. That’s about half the number the Army expects to buy through its augmented reality program, which is called the Integrated Visual Augmentation System, or IVAS. With the contract, the Army immediately becomes one of Microsoft’s most important HoloLens consumers. The contract went though a bidding process designed to encourage the Army to do business with companies who aren’t traditional defense contractors. Magic Leap, which makes the main competitor to HoloLens for the consumer market, also pursued the contract. In early August, the Army held meetings with 25 companies interested in participating in some way, including Booz Allen Hamilton Holding, Lockheed Martin, and Raytheon. The technology industry’s cooperation with the U.S. military and law enforcement has become increasingly tense over the last year, with employees at companies like Google and Amazon pushing back against government contracts.